Following on from our fantastic launch and tasting last month with Frank and Caroline of Hederman Smokehouse, we are delighted to bring you details of our first official outing of the year. 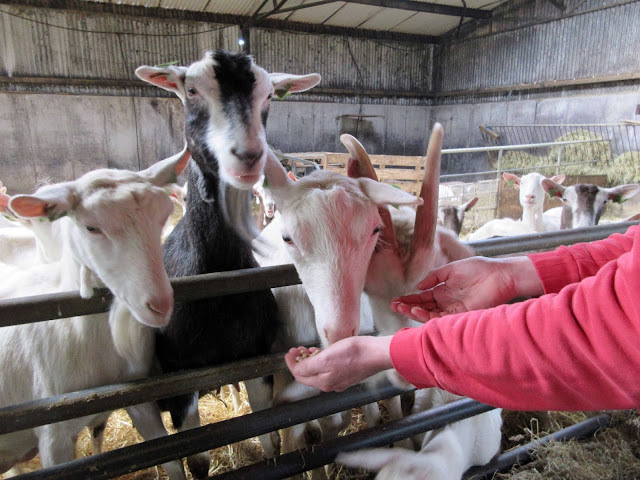 On Sunday April 14th, we're heading west to Timoleague and Clonakilty for a day of tours, tastings and fabulous food. Leaving Cork City Hall at 11am, our first stop will be at award-winning Ummera Smokehouse in Timoleague for a tour and tasting with Anthony Creswell, who has been running the smokehouse since taking over from his father in 1998. Our next stop will be 20 minutes down the road at the Michelin-rated pub by a tiny pier in Ring for a 3-course lunch. Deasy's is a very popular dining destination and we're really excited that they can accommodate the MWDC. After lunch we'll head to the recently-opened Clonakilty Distillery in Clonakilty town for a tour of their working whiskey and gin distillery and hands-on sensory experience and tasting. The price for the trip is €65 - this includes bus to and from Cork, the two tours and tastings and 3-course lunch in Deasy's. This promises to be a great day out to some top-quality destinations. As there is limited capacity due to numbers restrictions in the various venues, it will be on a first-come-first-serve basis and open to members only, please RSVP by Tues April 2nd. Payment will be taken in advance via our bank account - see details below. However, we are still welcoming new members for 2019 if anyone wishes to become a member and join us on this trip - see membership details below. Also, any existing members who haven't renewed their membership yet for this year, please make sure to renew by the end of March. The smokehouse was set up by Anthony's father in the early ’70’s who, as a keen fisherman, started smoking the salmon he and his friends caught on the local rivers. After much trial and error, he perfected methods which remain unchanged today. The word spread and so the business grew. 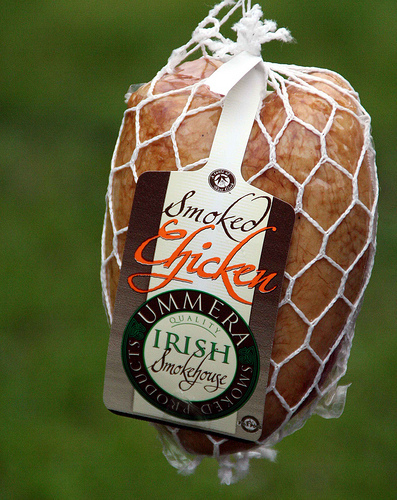 Anthony took over in 1998 and soon expanded the operations to include other smoked products such as duck, chicken and beef. Today he is the only traditional smokehouse smoking both fish and meat products and has won several awards for his products. Deasy's is an award-winning seafood restaurant/pub famous for its cosy informal atmosphere as well as it's simple but exceptional food using the finest local ingredients. Under the culinary creative genius of Caitlin Ruth, Deasy's continues to receive huge accolades for its delicious food and has customers returning time and time again. Caitlin originally from Dublin (that's Dublin, New Hampshire), is a self-taught chef who worked in the US and Holland before finally settling in West Cork almost two decades ago. She had no problems in persuading the owners of Deasy's to let her take over the food side of the operation. But all involved also wanted to keep the friendly, informal pub atmosphere going. It's a place for pints as well as great food. Clonakilty Distillery founders, the Scully family, have farmed in this coastal region for eight generations. A commitment to both heritage and innovation led them to revive ancient malting barley varieties which ultimately gave rise to the establishment of Clonakilty Distillery to create a range of whiskies that honours this heritage. The distillery produces triple distilled pot still whiskey, as well as gin made using botanicals harvested from the seashore.The distillery which only recently opened for tours is injecting new life into the heart of Clonakilty town. Single membership for 2019 is €30 and joint membership €50. Please find membership renewal form for 2019 attached. New members who'd like to join should ideally be proposed by existing members. Completed application forms should be emailed to this address or posted to MWDC C/O L'Atitude 51, 1 Union Quay, Cork and Subs made by electronic transfer to the bank account below or cheques posted to L'Atitude 51. N.B. when paying by bank transfer please make sure to state your name in the reference field and '2019 Sub" so we can cross reference all subs to the correct members. This also applies to payments for the trip - please state your name and "April" in the reference field. Bank Details IBAN IE81AIBK93638372852066 (BIC: AIBKIE2D). There are several other exciting outings in the pipeline - the next will be in June with details to be announced shortly. In the meantime, we look forward to seeing you all on the trip West in April!